"""Module to demonstrate an error.""" """Returns either 0 or 1 with equal probability.""" """Function to demonstrate an error.""" Note that line 15 uses the variables first and second, which are defined only if zero_or_one() returned 1 both times. 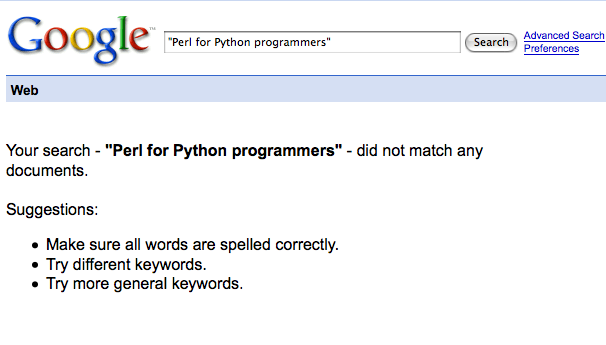 I know of three tools that are popular: pychecker, pyflakes, and pylint. None of them say a single thing about this program. It is questionable whether ever (and if so, how often) code like the above is what the programmer intended. Sometimes it’s crazy to go back. There is a chooser here. Update[2007-11-10]: What was was I thinking when I wrote this post? There’s pyGTK and pyQT; why not use one of them? I don’t even know now. Anyway, an old article about toolkits. That blog also has other posts like this and this, and searching for “pygtk” gives some more posts… Must look at it and learn it sometime.